Todays post centres on my final Blood Angels test mode which I've been working on this week. My goal was to reach a point where I had tested and documented the main steps in the process I will follow to paint my Blood Angels. Paint base with GW Steel Legion Drab. This process has been formulated from techniques observed on Youtube and from within the ForgeWorld Modelling Masterclass Volume 1 book. 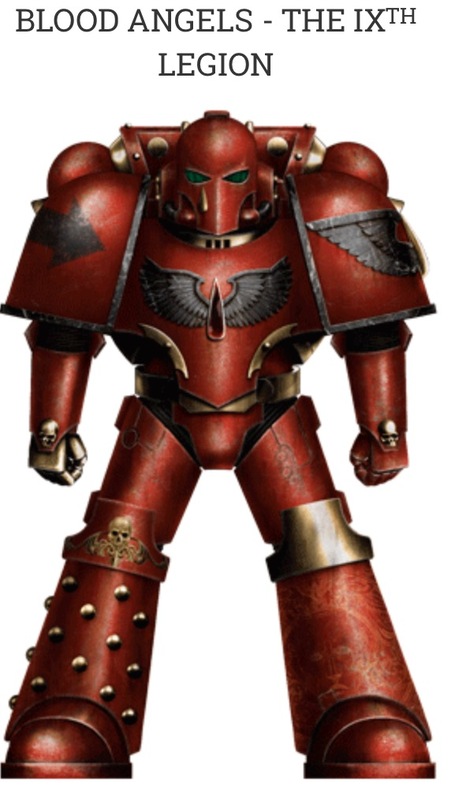 The scheme has been designed to combine elements of the Blood Angels livery from both 30K and 40K- hence the gold hand and other areas. Whilst the quality of the model isn't the highest (which wasn't part of my objectives), I feel as though I have sufficiently tested and learned enough about the scheme to move forward with starting on my army. The only tweak I will make is around the base. I didn't water down the GW Steel Legion Drab enough and so the base isn't to the quality I am trying to achieve (I want to get as close to the base on my Contemptor Dreadnought as possible- as it looks awesome!). 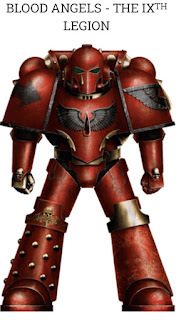 Next up I will be starting to work on my Blood Angels units... at last!